Temperatures in Shakopee MN can range on average from 3 to 86 degrees, according to weather tracking websites. That means that frigid to blazing hot and both extremes (and everything in between) can play havoc on an asphalt driveway or a parking lot. Pavement maintenance contractors like the folks at Seal King, have years of residential sealcoating and commercial sealcoating experience. 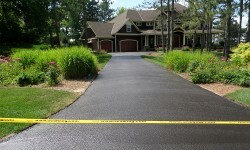 So your looking to get your asphalt seal coated… First off, great move on your part! Your protecting your asphalt surface from costly weather, weight and chemical damages, as well as your wallet; have you looked at the price of an entirely new asphalt driveway, parking lot or pathway?! It’s astronomical. Are you looking for a way to bring back that beautiful black luster to your driveway? Or maybe make your driveway whole again…are you sick of it being the first thing you notice once you arrive at your Minneapolis, MN home? 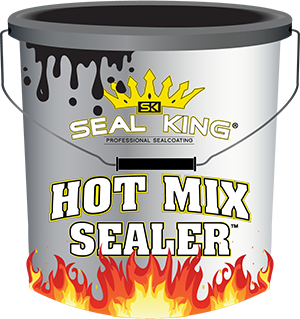 Seal King can solve your driveway problems! Our professional sealcoating services, asphalt repair techniques and quality products can take years off your asphalt driveway. It’s not every day you can repair asphalt, there are many conditions that affect when and if maintenance can be offered, especially because of Minnesota’s great weather! Just the other day Shoreview, MN reached over 90 degrees ferinheight and the humidity was insane, then what do you know – we barley hit 70 degrees the next day. 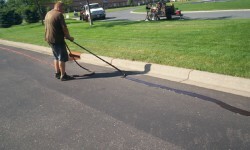 Seal King offers professional asphalt maintenance services for the Roseville, MN area. Our sealcoating pavement services always include – asphalt preparations, a quality application and detailed finishing touches. 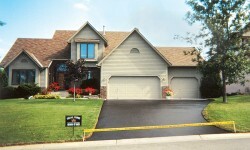 Whether the property is a home or business, we can update your look and extend the life of your asphalt, dramatically. 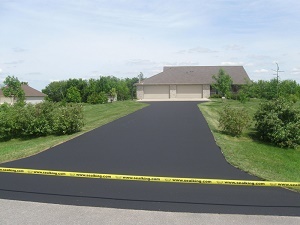 It’s important to keep you with asphalt surfaces, regardless if you’re a residential or commercial owner in the Roseville, MN area. Not only will regular maintenance of your driveways and parking lots help keep loved ones and customers safe but it will also save you money. Are you wanting to keep your edge in the local Forest Lake, MN community? Seal King has your answer! Keep up with your asphalt surfaces; the results are dramatic. Whether you need one pothole patched or a dozen, you will see an extreme difference when Seal King is done with your asphalt maintenance needs. Our services include asphalt repair, overlay, sealcoating, line striping and in extreme cases, we’ll measure, cut out and re-pour new asphalt to repair your foundation. A newly poured asphalt driveway can cost you, anywhere between $3-$5 per square foot and the soil may be a major factor in the price as well. While maintaining your asphalt surface will cost you not nearly as much. Proper maintenance can extend your asphalts surface life quite a bit and can even double it. In the end, patching holes and filling cracks is well worth it! 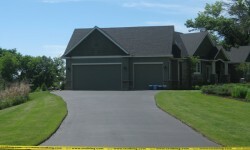 Are you in the Forest Lake, MN area and looking for a highly professional sealcoating company? 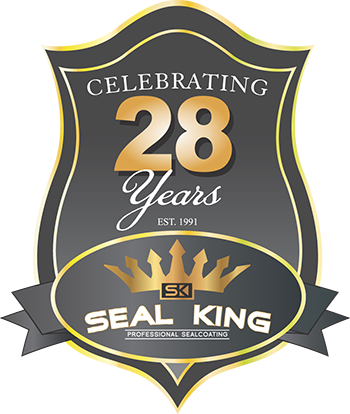 If so, Seal King offers the best quality, expertise and techniques for results can’t be matched. We offer the best products in the industry at competitive prices. We will give you a free quote on your asphalt sealcoating needs, whether its a driveway, pathway, parking lot or road- we’ve got you covered, with only the best! 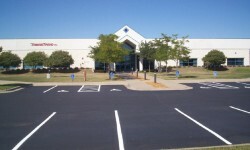 Why Sealcoat your Asphalt Surfaces? While your inside your home, listening to the relaxing sound of pitter-patter on your roof, your driveway is being poured on, which is eroding the surface and enlarging cracks and potholes. When it the weather turns it up a notch and starts to thunder and lightning, while your inside safe your asphalt extremely vulnerable to a bolt. 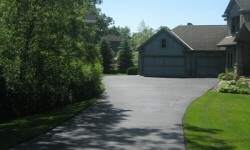 Choosing to sealcoat your Ham Lake, MN driveway, parking lot or pathways will extend the life of your asphalt dramatically, it’ll also improve the appearance. Seal King offers quality residential sealcoating services and commercial sealcoating services. It’s important to search for long standing and highly professional sealcoating companies to ensure you get the look you want. Storms can affect any aspect of your Ham Lake, MN property, including driveways and parking lots. If your residential or commercial property has seen asphalt damages due to storms or any other reason, Seal King has your pavement repair solution. Mother nature has a knack for destroying asphalt, good thing our services can patch, fill, level and correct any harm that your driveway, parking lot or pathways have encountered.